If spring lawn care is about getting your lawn healthy and green, summer lawn care is about KEEPING it healthy while temperatures soar and rainfall becomes a fleeting memory. It’s also about maintaining a lawn that can withstand all the barbecues, games, parties, and little running feet that summer has to offer. According to a recent online study, the average homeowner spends roughly 40 hours mowing their lawn each year, and Americans spend $8.5 billion on lawn care products and equipment. Lawns are a major part of the landscape scene, with millions of acres in this country alone. Keeping a lawn in tip-top shape can be a big job, but my approach to it is a little more relaxed than others. With proper watering and attention, however, you can keep your grass green and healthy. Consider these tips to keep your lawn looking its best. After the spring growing season, summer brings quite a bit of stress to lawn grasses. Not only are the heat and drought damaging, but we aren’t as forgiving in the summer as we are in the winter. We want our lawns lush and green for outdoor activities, and we try to fight nature by continuing to fertilize, water, and coax new growth out of our lawns no matter what the weather. However, by understanding and respecting the seasonal changes of turf grasses, you can take steps to care gently for your lawn as the mercury rises. Cool-season grasses (such as fescue, bluegrass, and rye) grow best when temperatures are in the 60s F.
Warm-season grasses (including Zoysia, St. Augustine, Centipede, and Bermuda) like temperatures in the 70s. Once temperatures get into the 80s and above, lawns will begin to struggle a little, with cool-season grasses having the hardest time. Growth will slow, color may fade, and lawns will show signs of wear and tear as they are less able to recover from stress and traffic. Some cool-season lawns will even go dormant in the summer, looking brown and brittle until early fall. 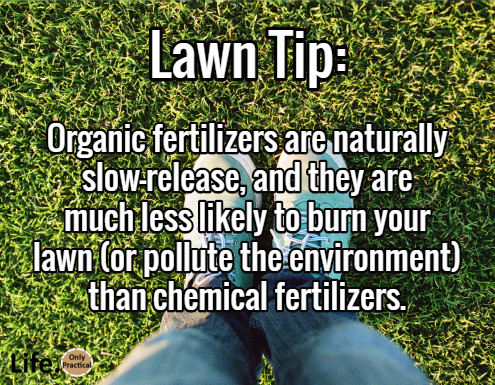 Fertilize your lawn about three times a year, once in the spring and then again in midsummer and in late summer with a food specially blended for lawns. You’ll find these blends higher in nitrogen than other elements (the first number in a series of numbers on the fertilizer bag). Nitrogen is what stimulates vigorous growth and deep green color. Because there are so many blends to choose from, check with a lawn care professional on the best fertilizer for your yard or better yet, have them come out and do it for you to save you time. Also, professional turf managers know what kids and when to apply to different lawn types. Is your grass dry or has it just been watered? Do you have zoysia or fescue grass? Do you need other treatment as well such as grub control or weed control? Hire a professional that can answer all your questions about your specific lawn and gardening needs. 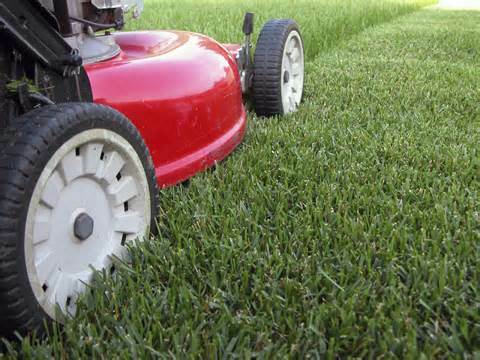 Many people want to put their blade as short as possible so they don’t have to mow as often. However, experts advise raising your mower blade in the summer. Taller grass is more drought-tolerant, grows deeper roots, and helps shade the earth to prevent weed seeds from germinating. Cool-season grasses should be mowed at 3”- 4” during the summer, or as high as your blade will go, while warm-season grasses should be mowed at 2”- 3”. The lawn mower can be one of the most neglected tools in your landscaping arsenal, and that’s pretty ironic when you consider it’s also one of the most expensive. To keep your mower in tip-top shape, start by checking over and replacing any worn or corroded parts. Spark plugs can easily corrode which will make your mower not start but they are inexpensive and easy to replace. Also, take your mower in and have the blade sharpened and balanced. This will keep the engine working more efficiently and you will get a smoother cut on your grass. It’s best to water in the early morning if you are able. This gives the lawn an opportunity to dry before nightfall, a time when many types of fungus are most active. This is also usually a non-peak time for most communities’ water supply. It’s also much better to water early only a couple of times a week than to water lightly more often. Deep soaking encourages deep root growth, whereas light watering encourages the roots to stay close to the surface of the soil, making your lawn more susceptible to heat and drought. Knowing your soil type will help determine frequency in watering. In mid-summer, sandy soils need to be watered about every two days. Loamy type soils need water every three to four days, and clay soils need water every four to six days. Another thing to keep in mind is that an actively growing lawn this time of year will require about 1 to 1.5 inches of water per week. This of course will depend on your soil type. Lawns can be a source of pride — just don’t let the summer heat get the most of it, and you. Be aware of water penetration. 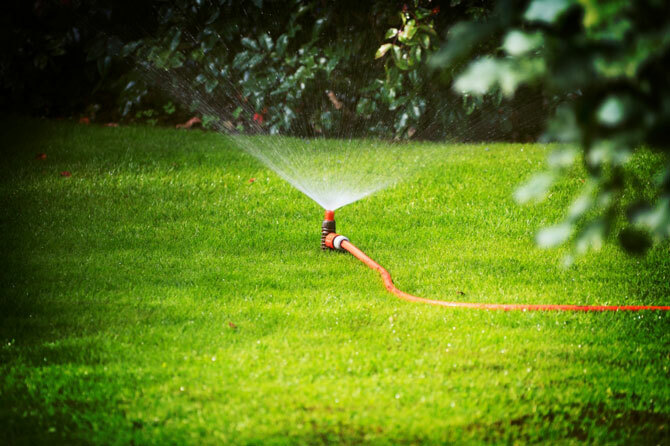 Either water your lawn regularly and deeply, or don’t water at all. Water should penetrate about 8-10 inches per application. To determine depth of water penetration, push a rod or screwdriver into the turf and measure how far it goes in.Don’t let your lawn go brown and dormant, then try to “water it back to life.” If your lawn goes dormant in summer, it should stay that way until fall – don’t worry, it should recover once the weather changes. By summer, many lawns begin to show signs of wear, especially in a few popular pathways. 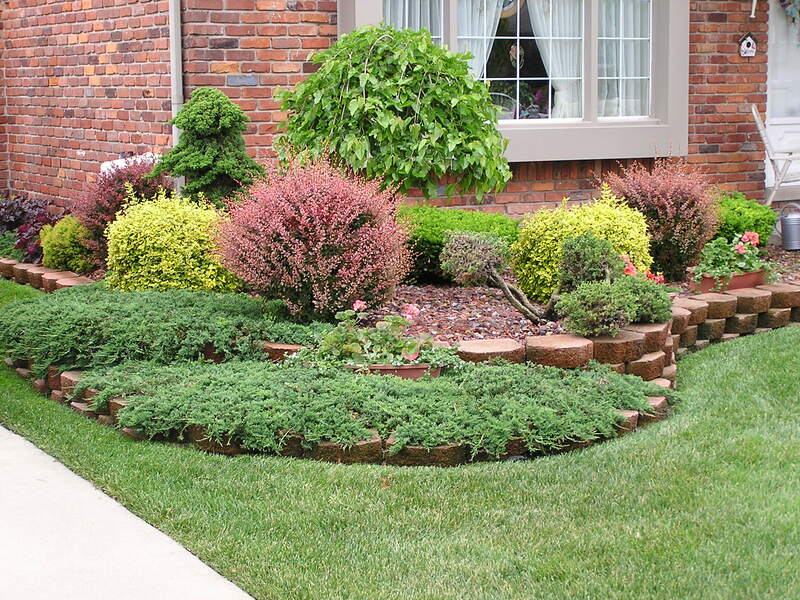 Consider installing landscaping elements such as stepping stones to minimize damage to your grass, and try to minimize traffic on dormant, brittle lawns. If you’re getting plenty of rainfall and your lawn is actively growing, you can apply a bit of fertilizer to these areas to help the blades recover faster. Summer is the season to get those growing weeds removed before they bloom and disperse seed for next year. Targeted post-emergent herbicides are designed to kill broadleaf weeds without harming turf grass, but they must be applied when temperatures will be below 85° F for a few days. Keep in mind that during the heat of summer, ANY product can be damaging to already-stressed lawn grasses, so use sparingly or hand-pull weeds instead. Consult a professional if in question about the types of weeds or what products to apply.